Austin Air HM200 HealthMate Junior is a compact version of Austin Air HM400 HealthMate air purifier for fast and effective All Purpose home and office air purification. 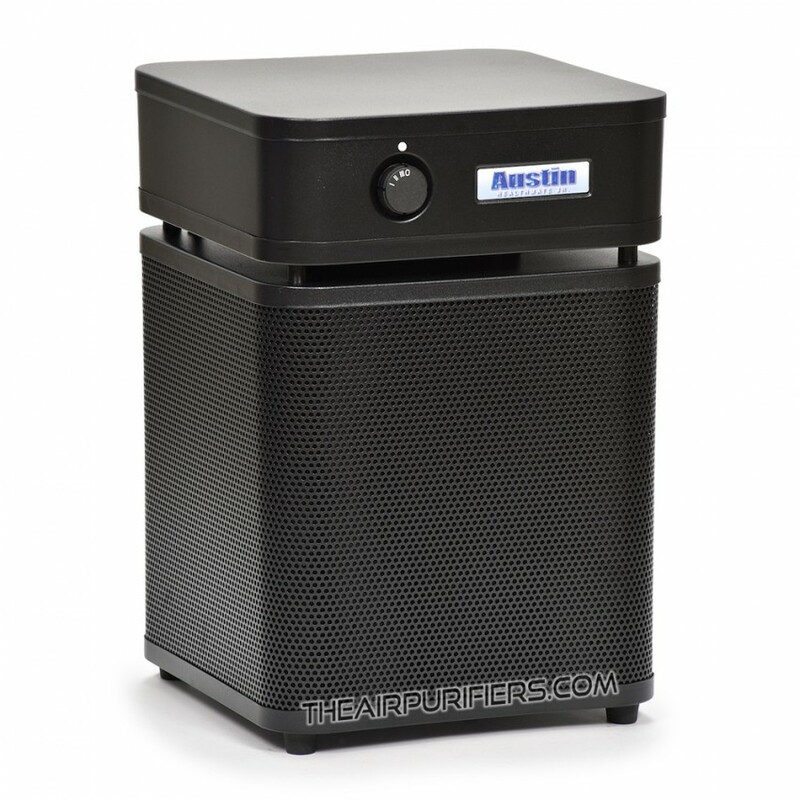 When to Use Austin Air HM200 HealthMate Junior Air Purifier? 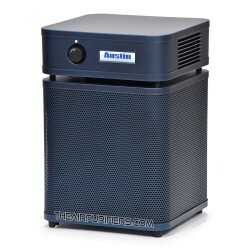 Austin Air HM200 HealthMate Junior air purifier excels in maintaining the balanced air cleaning result in combined removal of allergens, dust, most regular chemicals and odors in large open areas up to 750 sq. ft. 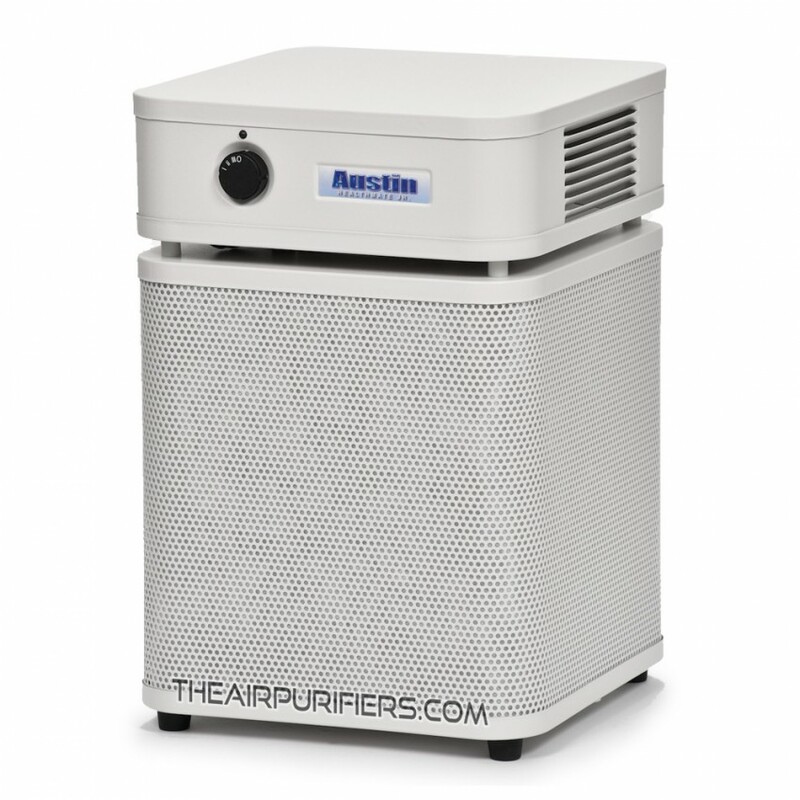 The Long lasting True HEPA Filter traps from the air over 99.97% of all microscopic airborne contaminants down to 0.3 micron in size. 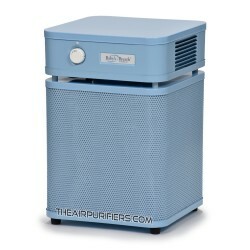 True HEPA is the industry standard particle filter that provides a superior protection from microscopic airborne contaminants. 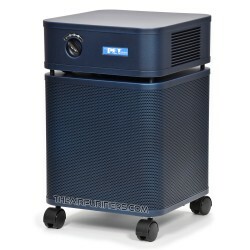 This includes: mold spores, plant spores, pollen, house dust mites and debris, lung damaging dust, pet dander, bird feather dust, microscopic ash particles in cigarette smoke and smoke from wood burning stove, etc. 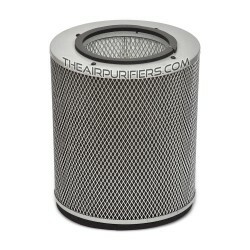 Chemical an Odor Filter contains large amount (6.5 lbs.) of regular activated carbon adsorbent from coconut shell in a filter canister. 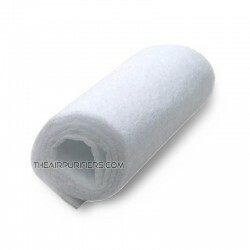 Large amount of adsorbent ensures fast and effective removal from the air of all regular chemicals and odors such as: cuisine odors, pet odors, chemicals in cigarette smoke, smoke from wood burning stove. household chemicals, and many more. 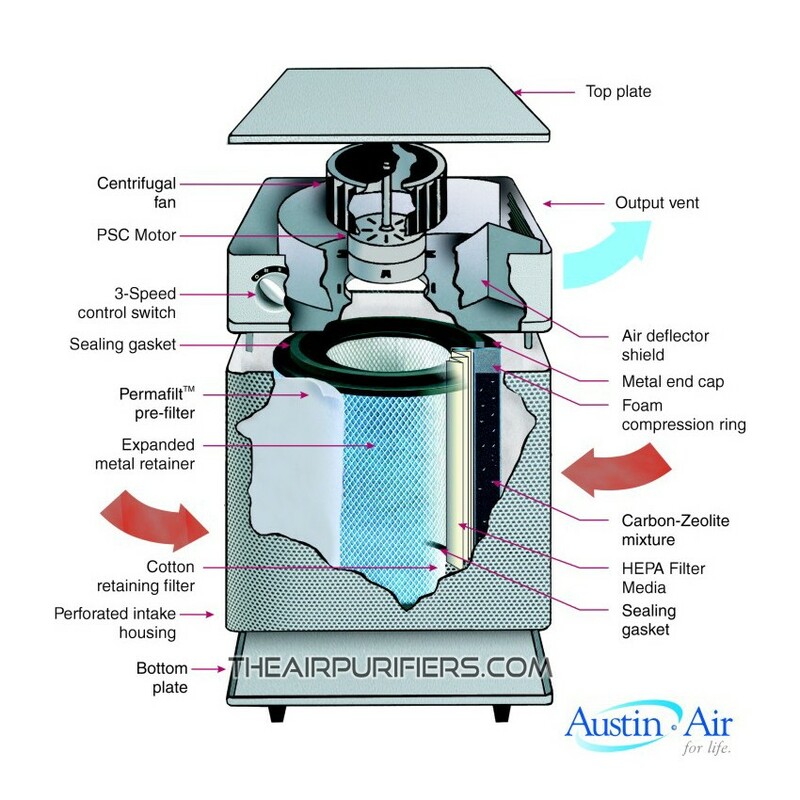 True HEPA filter and Activated Carbon filter canister in Austin Air units are combined together in One Filter Assembly. As such, the whole filter assembly needs to be replaced when either True HEPA or Activated carbon filter reaches the end of its lifetime. 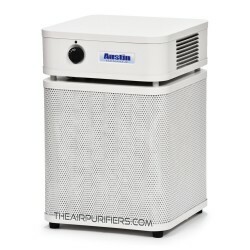 Austin Air HealthMate Junior air purifier employs powerful, energy efficient Motor/Fan unit rated at 200 CFM (open air). 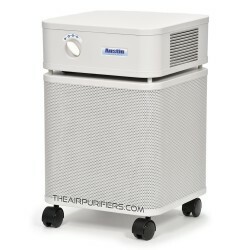 The 3-Speed control allows users to set the optimal air flow for any particular air cleaning application, activity or a time of the day. To help reduce the associated noise and vibration, the motor is mounted on shock absorbers. Durable the All Metal Housing. Austin Air HealthMate Junior features durable, impact resistant the all metal housing design. 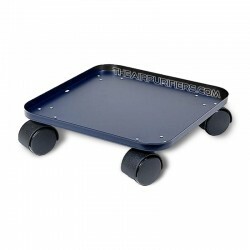 Austin Air HealthMate Junior has four rubber pads to absorb vibration and ensure stability on all surfaces. 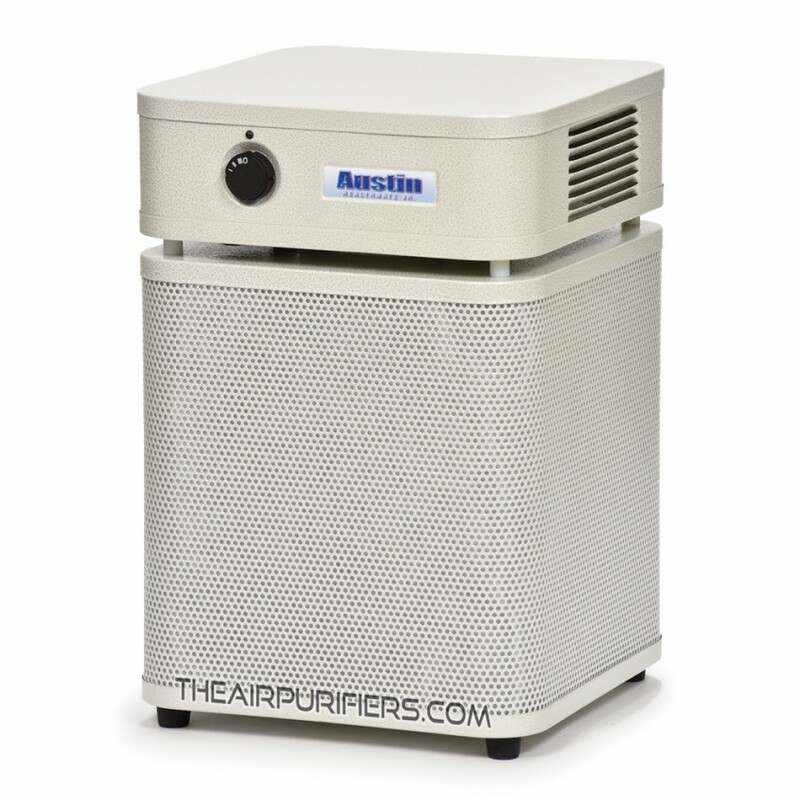 You can upgrade your Austin Air HealthMate Junior with an optional Wheeled Bottom Panel of a matching color. 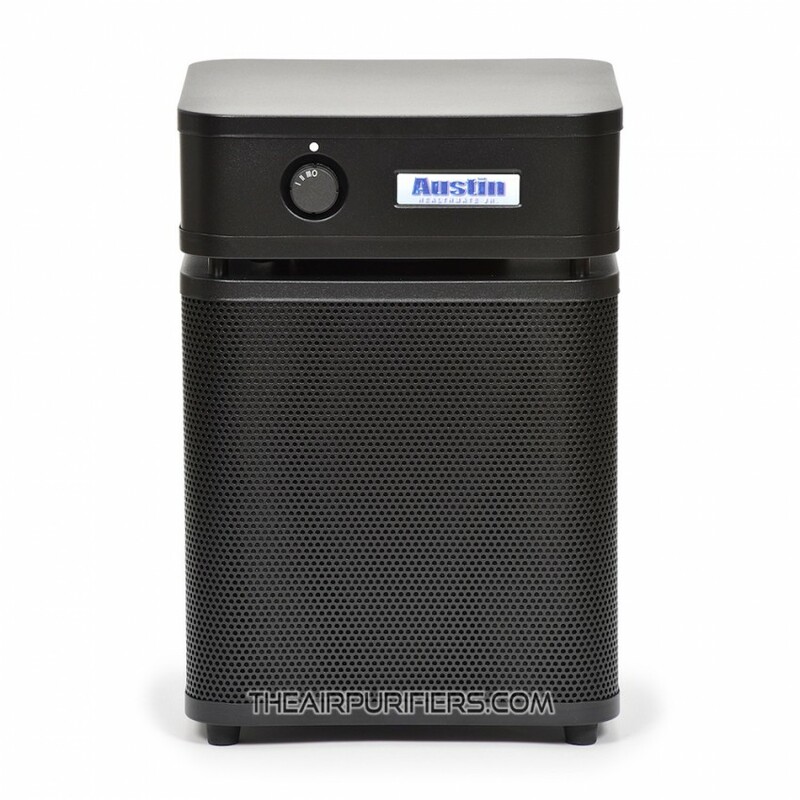 Austin Air HealthMate Junior air purifier comes with a comprehensive limited manufacturer's warranty. 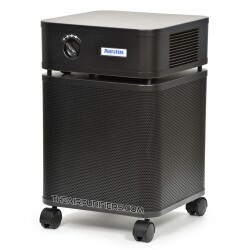 Austin Air HealthMate Junior air purifiers are shipped FREE of CHARGE by Ground service to all US customers in Continental USA out of the warehouse in New York state. The is no FREE Ground Delivery service to Hawaii, Alaska, Puerto Rico. The Austin Air HealthMate Junior air purifiers to Canadian customers are shipped from the location in Canada. There are NO SALES TAX and NO Other Charges for all US customers.